Chegg, the Student Hub, in partnership with iHeartRadio, iHeartMedia’s free all-in-one streaming music and live digital radio service, today launched a social media contest to choose an American college or high school campus to host musical artists Macklemore and Ryan Lewis for an exclusive classroom takeover event. Beginning today, high school and college students can vote for their school to win this on-campus experience. The Grammy Award-winning artists will take over the classroom with a live crash-course and Q&A session on their experiences in the music and entertainment industries. To emphasize key teaching points, they will discuss the background and creation process of a selection of their songs, including their new single. 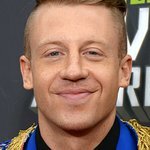 To learn more about the contest and nominate a school, visit play.chegg.com/Macklemore.